Check out our Rams Spirit Wear. 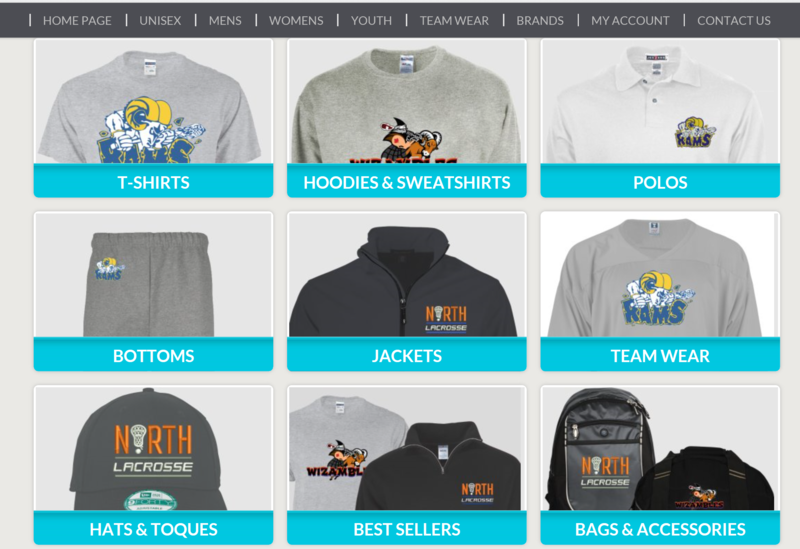 There is apparel available for Rams, North Lacrosse Zone teams and the Wizambels too! There are no minimum quantity orders. There are no cut off days (available 24/7, 365 days a year). They ship directly to your door! They also offer AIRMILES. Display your pride in fantastic apparel customized entirely by you! St. Albert Rams will get a percentage of gross sales returned to our club as a fundraiser, so please support your association by purchasing your team or individual apparel through our online shop at the above link. There are plenty of items to choose from including hoodies, shorts, shirts, hats, pants, bags, jackets. There is free, direct shipping and they offer Air Miles.